The Chair of Scientific Culture of the University of the Basque Country was created in October 2010 pursuant to a collaboration agreement signed with the Bizkaia Provincial Council. As any other university chair, it is governed by a set of basic operating regulations to organise the structures and bodies without legal entity. It was approved by an agreement between the Governing Board of the UPV/EHU on 16 May 2012 in compliance with Chapter 7 of its Articles of Association. The mission of the Chair of Scientific Culture is promoting scientific and technological knowledge within the Basque society and spreading the scientific culture in all of the fields within its geographic, administrative and cultural scope. On the one hand, the Chair has an obligation with its closest environment, the Basque geographic and cultural scope, where the UPV/EHU itself develops its activities.. And on the other hand, it has a broader calling, as a university institution must have. It is within this double context that we must understand its commitment to cultural expression in the Basque language and to the international projection of scientific and technological knowledge produced in the Basque Country. Regular conferences-debates, held on a monthly basis within the Zientziateka programme. 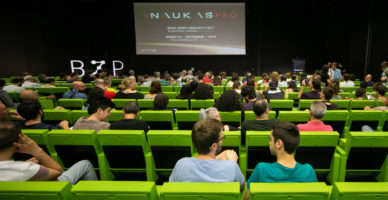 The Naukas Bilbao scientific festival which is held annually, featuring over 60 speakers spread over a 2-day event. The bertsolaris and scientists festival, Bertsozientzia, in Basque language, in which they combine the Basque tradition of improvised verses with brief expositions on scientific matters. Annual events, such as Darwin Day, Matemozioa and others, as well as occasional conferences on current scientific issues. Events and seminars on special matters. Mapping Ignorance, which publishes dissemination articles in English dealing with recently published research on specialised scientific media ( researchblogging). Mujeres con ciencia, (Women with Science) which publishes articles on female scientists and issues related to the situation of women within the scientific system. Zientzia Kaiera, which publishes general dissemination articles in Basque language. Cuaderno de Cultura Científica (Scientific Culture Logbook), which publishes general dissemination articles in Spanish. Zientzia.info, publishing information on the activities developed by the Chair and on scientific breakthroughs. 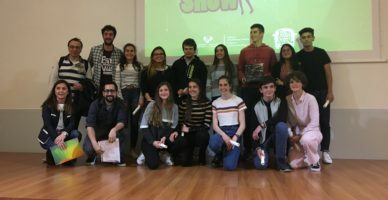 The contests organised by the Chair (Ciencia Clip, featuring videos with scientific content) or those they collaborate in (Ciencia Show, on scientific monologues) and Cristalización en la Escuela (Crystallisation at school) are addressed to students on pre-university courses. Conference programmes or workshops for secondary school students, such as Matemáticas para mentes inquietas (Maths for inquisitive minds) or Jakin-Mina (Hunger for knowledge, the latter in collaboration with Jakiunde). Production of audiovisual material, in Basque (Zientzialari) and in Spanish (Una de mates, Ciencia en la cocina, Ciencia Exprés) to be shared on the Internet; broadcasting of conferences or large events on the Internet. The webcast of conferences and general dissemination events allows them to increase their scope of influence and is done in collaboration with eitb.eus. To develop these activities, the Chair of Scientific Culture collaborates with many organisations: the Naukas online scientific platform, the Basque public radio and television network (EITB), the group for scientific monologues Big Van, museums, cultural centres, associations and others. Euskampus Fundazioa and Ikerbasque (Basque Foundation for Science) support the Chair in its activities. The Chair is held by Juan Ignacio Pérez who coordinates four UPV/EHU professors: Marta Macho, Raúl Ibáñez, Aitor Bergara and Marian Iriarte. Editorial tasks are the responsibility of César Tomé (Mapping Ignorance, Cuaderno de Cultura Científica, “In the media” section on this website and CienciaSfera), Uxune Martínez (Zientzia Kaiera) and Marta Macho (Mujeres con Ciencia). José Cuesta (Inercia Creativa) is responsible for web design, development and maintenance.